Getting in and out of the bath is difficult. What can I do to make it more convenient? If getting in and out of the bath is difficult because you feel like you may may slip and fall, then it is best to find alternative to solve this solution. Using a shower chair will help solve this problem. You can use the shower chair within the shower. This allows the individual who is showering to sit down and not have to worry about slipping or falling on the ground. There is no need to worry about getting in or out of the bath anymore. What kinds of shower chairs are available? There is a wide range of shower chairs to choose from. Shower chairs come with in different sizes and features. 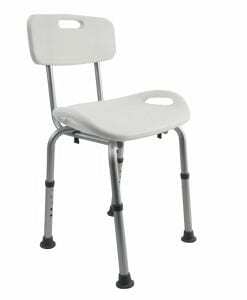 Some shower chairs are foldable, corner chairs, and wall mounted. Karman Healthcare carries high quality lightweight wheelchairs that have back support for comfort and no back support for portability. 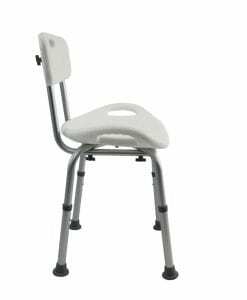 For more information about the shower chairs, click here. 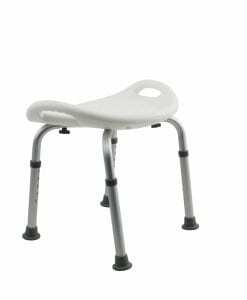 Can I build my own shower chair? Building your own shower chair may sound like a good idea but the permanent fixture to the shower will not make it portable for the shower chair to move around. It may also take up a certain amount of space. The time to incorporate the shower chair to the bathroom is time consuming and it may not be convenient when a shower chair is not needed anymore. 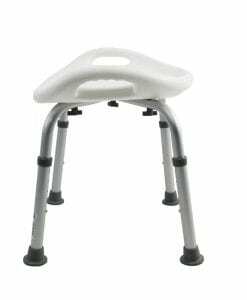 Do portable shower chair last for a long time? Portable shower chairs are made to last for long term. They are made to use in wet conditions and built with study features to hold the individual’s weight. It is a great shower accessory to have when you do not want to stand for a long time when showering.